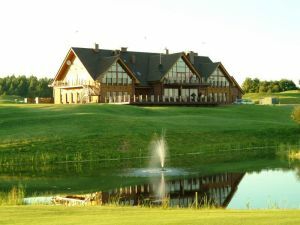 We offer a choice of over 1 golfcourses spread out thru Lithuania. Book green fees and tee times in REAL TIME and get your confirmations immediately. The course is estiblished in the territory of 145 ha, the area for the golf course lies in a dramatically varied landscape containing natural lakes, streams, wooded areas and magnificent views of the unspoiled surrounding countryside.